Previously I worked on Armored Warfare (a modern day military combat title from Obsidian Entertainment) at The Workshop studios as an Environment Artist. Artists there used CRYENGINE to rework content into a Single-Player space, which involved all aspects of creation: Terrain, asset placement, asset creation, lighting, vfx, sound layout, cinematic animation, camera animation, vista's ect. Below are a few of the maps I worked on. 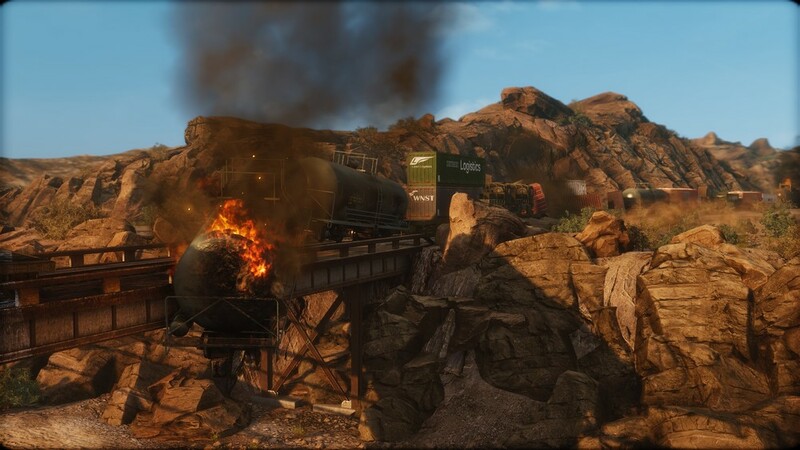 Responsible for: Terrain and environment settup (using World Machine), terrain sculpting and design, prop/asset placement, material/terrain blending, vegetation placement, lighting and post processing, sound placement and visual effects layout, cinematic animations and scripting, vista settup and positioning. Responsible for: Destruction aesthetic of a Middle Eastern town, vfx/light settup, changing time of day, setting up cinematics and explosions, layout adjustments for new gameplay dynamic, adding additional towns, sound settup and post process adjustments. Responsible for: Adjusting town layout to better suit a single player flow, arting it to be more in a blizzard, set dressing for more of a distressed look, lighting adjustments, rigging up a simulated blizzard, creating cinematics, adding sound effects, working with design to make clear goals and side objectives.